What this means to you, if you are B2B business, is that you are enable to provide customer success teams with a platform-oriented way to implement proven success plans and engage users with planned, high-value activities that drive customer lifetime value, reduce churn and ensure customer satisfaction. ServiceSource is a global leader in cloud-based recurring revenue management solutions. So if your company wants to provide better service for customers to drive growth and build long-standing relationships across the customer lifecycle, this may be a vendor to look at. ServiceSource has a comprehensive data management, analytics, automation and services capabilities. They deliver higher subscription, maintenance, and support revenue, improved customer retention, and increased business predictability through their Renew OnDemand®, Scout® and proven services offers. Inline Customer Health Monitoring: Embedded account status indicators and metrics within the Salesforce1 Platform visibly show how customers are using a product to consistently measure customer success at scale. Tailored Customer Plays: By combining subscription- and user-level predictive analytics with pre-planned plays, sales and customer success teams will engage each customer in exactly the right way, at the right time. High Volume Effectiveness: “Focus Categories” help customer success reps efficiently and effectively manage more accounts by pinpointing high-value customers that require immediate attention. Structured Success Plans: Customer success plans provide clear visibility into the unique journey each customer takes with a company’s products and organization. Every plan incorporates a timeline view that shows where the customer is located in the lifecycle, prior activities as well as future actions required for a successful renewal. Streamlined User Experience: Designed specifically for the customer success rep, the app delivers the right information from inside the Salesforce1 Platform to simplify day-to-day work and maximize effectiveness – all while maintaining seamless connectivity to the rest of the organization. Configurable “Action Tiles” quickly guide work activities and provide a closed-loop view of customer success. ServiceSource will be at Dreamforce if you want to see more. They are a Gold sponsor at Dreamforce® ’14, October 13-16. 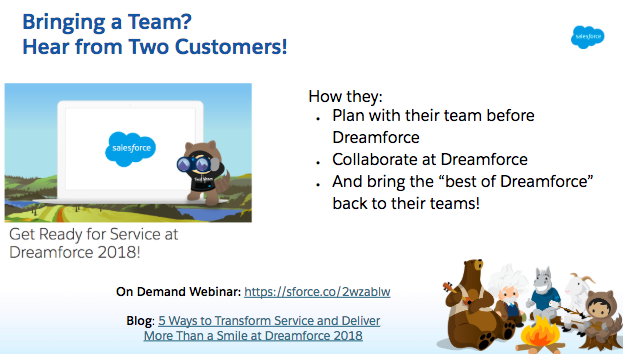 If you want to know more about what they are doing there at Dreamforce, here’s a link: http://www.servicesource.com/dreamforce. This post is part of the Deep Thoughts at Dreamforce Series of candid interviews with customer experience thought leaders. You can view the other videos in the series here. “Strategy that involves common sense is nearly impossible for large companies to do,” said consultant Dr. Natalie Petouhoff of companies that claim to be customer-centric yet fail to truly utilize customer feedback to grow the business. Customers are everything. “If you don’t have customers, you don’t have a business,” said Petouhoff. One of the issues that came up during the Dreamforce conference was the need to increase customer engagement. One theory states that if you can double your overall customer engagement you could double your business. The problem Petouhoff identified is that there are still many executives who believe that customer service should only be treated as a cost center. Instead, you should relish every single customer touch point, even the negative ones. Don’t stick your head in the sand to negative criticism, warned Petouhoff. Talk to your customers wherever they are. Hire people who are customer-centric who want to engage with your customers. “Integrate that back into your company and you would have an amazing company,” claimed Petouhoff. Brett, EVP & GM at Salesforce.com, talks about the changes to marketing capabilities with the addition of Radian6 & BuddyMedia. Salesforce.com is the enterprise cloud computing leader. Their social and mobile cloud technologies—including our flagship sales and CRM applications—help companies connect with customers, partners, and employees in entirely new ways.